Farewell, Gift | Mehta Kya Kehta? I found this kitten on December 25, 2013, and never having received (or given) a Christmas present, I named him Gift. 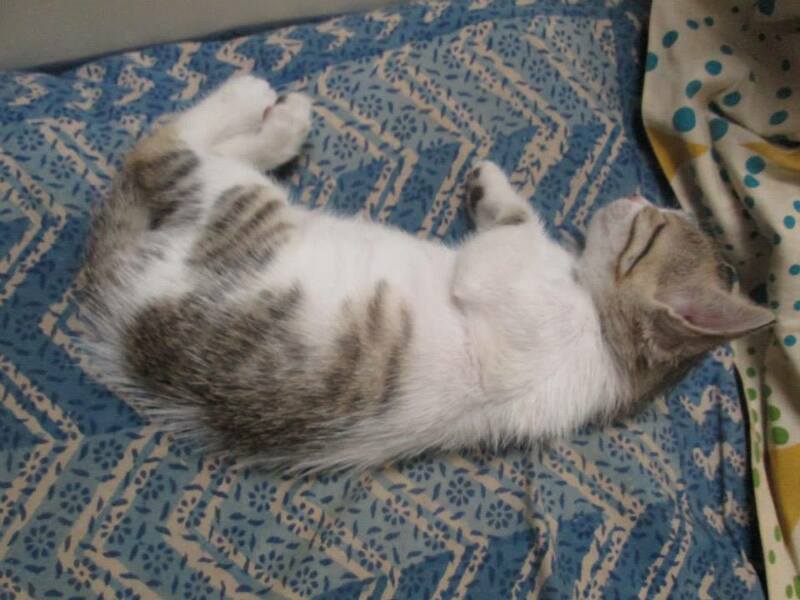 Gift was a playful kitten who never stopped smiling and being cute for all of those 19 days he lived with me. Even the other cats weren’t hostile to him the way they usually are to new kittens I bring home. He seemed healthy and ate very well. I didn’t take a pic of his loving smile because I didn’t think he’d die all of a sudden, just like that. I thought he’d grow to be a sweet, fat cat. Perhaps Gift was just that – a beautiful present that was meant to stay with me only for that festive season. Gift taught me yet another lesson in love, and his smiling face is stuck in my heart.